Good morning polished world! Happy Thursday to you all! It's going to be 87 degrees here today, so that means I'm breaking out the flip flops. Although, I need to paint my toes. I've been holding off on doing a pedicure yet because the temperature is going to drop back down in the 60s next week. The weather cannot make up it's mind. Today is polka dot day at my work, so it's only fitting that I share a polka dot manicure with you! With this warmer weather I've been feeling warmer, summer colors. 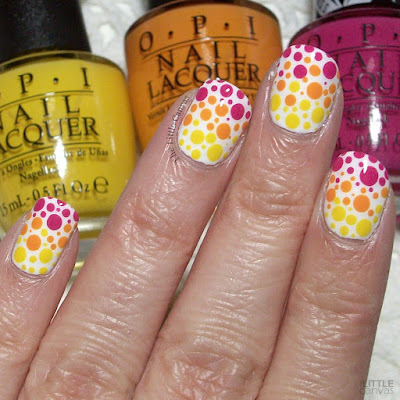 A few weeks ago I purchased a few of the shades from the OPI Fiji collection. Normally I don't gravitate towards orange and yellow polishes, but OPI has some awesome creams, so I couldn't say no to these. Oh my goodness, I love No Tan Lines and Exotic Birds Do Not Tweet. I need to actually swatch them, but they are just so bright and perfect. I cannot wait to use them as a base. The other day I used a yellow polish and I should have used Exotic Birds, but instead stupidly went for a pale yellow. Okay, it wasn't stupid because the manicure is really cute, but I need to swatch this pretty. I love this color combination. I got the idea from seeing a similar manicure over on Pinterest. I believe it was by TrendyPolish but do not quote me. 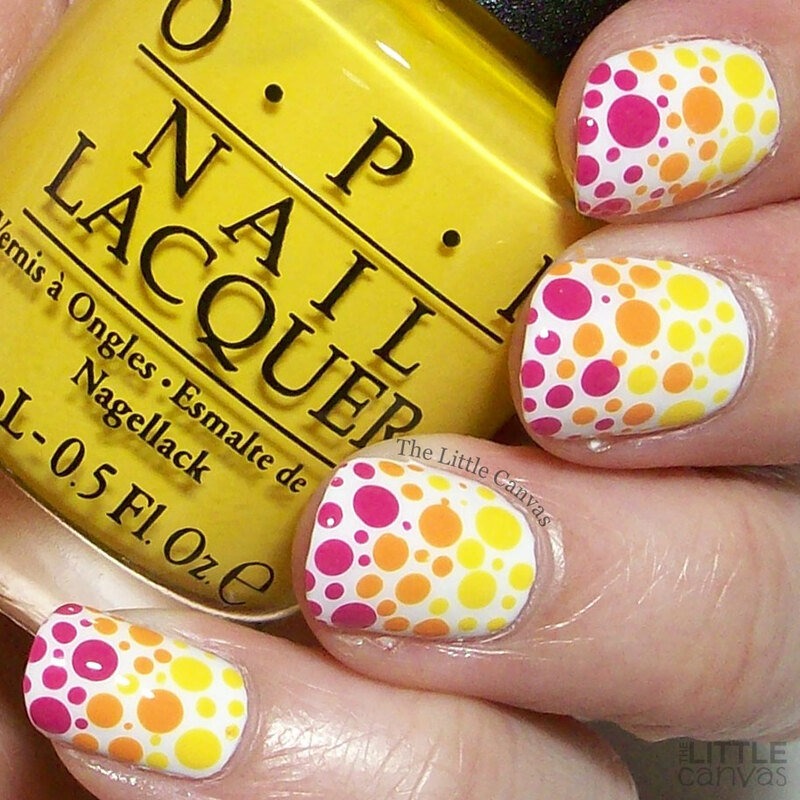 I think I want to do this manicure again but with a black base and some bright, bright neons. What do you think? Like this color combination? Fan of these OPI polishes? ?